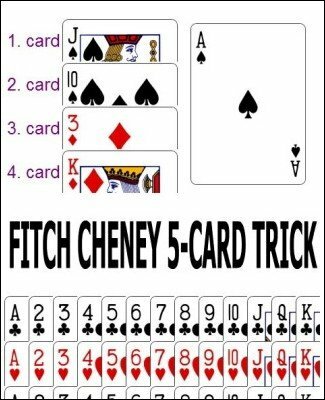 In 1950 mathematician and magician William Fitch Cheney Jr. published a two person card trick. Some consider it the best mathematical card trick ever devised. The basic effect is as follows. Five cards are randomly picked from a deck (can be a borrowed deck, an incomplete deck ... there is nothing marked or otherwise tricky with the deck) and given to the performer, who shows four of them to his performing partner. The partner sees nothing else except the four cards (no other signalling or silent codes), but promptly reveals the identity of the fifth card. Obviously the identity of the 5th card has to be transmitted with the four cards. But how? With this iPhone App you do not need a partner to perform this effect. The iPhone plays the role of the partner. With a bit of showmanship you can turn this into a miracle, or if you prefer you can perform it as a puzzle challenge and taunt your smart friends who will try to figure it out. But can they? To perform this you simply start this app and hand it to your friend or spectator. There are no secret buttons to press. Everything is above board. He also gives you five cards from a deck. You hand him back four which he enters into the iPhone (no typing required, two clicks and one card is entered). The 5th card is face-down on the table. He presses the back of a card in the app. It slowly starts to turn over to reveal a face, which matches the face-down card on the table. Voila! How the heck does the iPhone know which card is on the table? You will learn everything in the notes to the app.